Rory McIlroy said he played a “perfect round of golf” after scooping his first victory in 18 months at the Arnold Palmer Invitational – and admitted he had missed the feeling of chasing a win. The 28-year-old carded a majestic final round of 64 at Bay Hill, reeling off five birdies on the final six holes to finish on 18 under par. 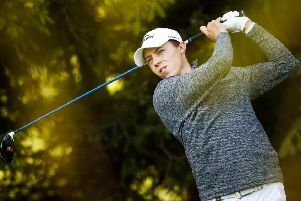 It put him three shots ahead of his nearest rival Bryson DeChambeau, and ensured he will be among the leading contenders at next month’s Masters. “I played a perfect round of golf,” said the Northern Irishman. McIlroy’s last victory came in September 2016 when he won the FedEx Cup on the same day that Arnold Palmer died. “For me to get my next win here, it means a lot. I’ve had quite a connection with Arnold Palmer,” said McIlroy. Tiger Woods was briefly in contention for the second successive Sunday but his challenge faded with bogeys at the 16th and 17th, and he finished in a share of fifth. England’s Laura Davies recorded her best finish since 2007 as she held on to tie for second at the Founders Cup in Arizona.